Fishermen in the Deep South Texas county of Willacy will tell you anglers have been accessing the Lower Laguna Madre at a point some 23 miles from Raymondville since the early 1900s. At that time, this tiny spot surrounded, which then was part the King Ranch was known as Redfish Landing. In 1933, Redfish Landing officially became a public access point when Henrietta King, widow of Richard King, leased 197 acres to the American Legion of Willacy County. However, it remained more or less just an access point for several more years. That all changed following World War II. The Willacy County Navigation District was created in 1948, essentially creating a legal entity which could create a port for the nearby cities of Raymondville and Lyford. In 1950, the WCND condemned more than 1,700 acres, including the American Legion’s leased land at Redfish Landing, to create what is now present-day Port Mansfield. But, at that point, the Navigation District had land, but no open water access to the Gulf of Mexico. That, too, would soon change. In 1957, the Mansfield Channel, which intersected Padre Island about 24 miles north of the present day town of South Padre Island, was dedicated. Because of its location due east of Port Mansfield, this channel is commonly known as the East Cut. The passes’ original jetty system having failed, the current granite jetty structures were laid in place in 1962. The channel was also deepened to 18 feet at that time. Today, it seems as if Port Mansfield has changed both a little and a lot. While there is certainly a lot more to Port Mansfield today than a bait house and a couple of shacks, it is, by the standards of modern coastal development, still a sleepy fishing village. But, for fishermen and their families hoping for a little solitude and world-class fishing without sacrificing modern comforts, it is close to perfect. Port Mansfield currently boasts a nice harbor facility surrounded by a handful of bait stands/marinas and boat ramps. Also fronting the harbor area are a number of private homes, as well as rental condominiums and the renown Get-A-Way Adventures Fishing Lodge. There are a number of house and condo rentals available off the water as well. Port Mansfield also has an adequate number of cafes and is a short 20-minute drive to Raymondville. The city of Harlingen is a mere 45 minutes away for those looking to do a bit of shopping or eat at one of that city's many good restaurants. Whatever Port Mansfield lacks in amenities, it more than makes up for in great saltwater fishing opportunities. 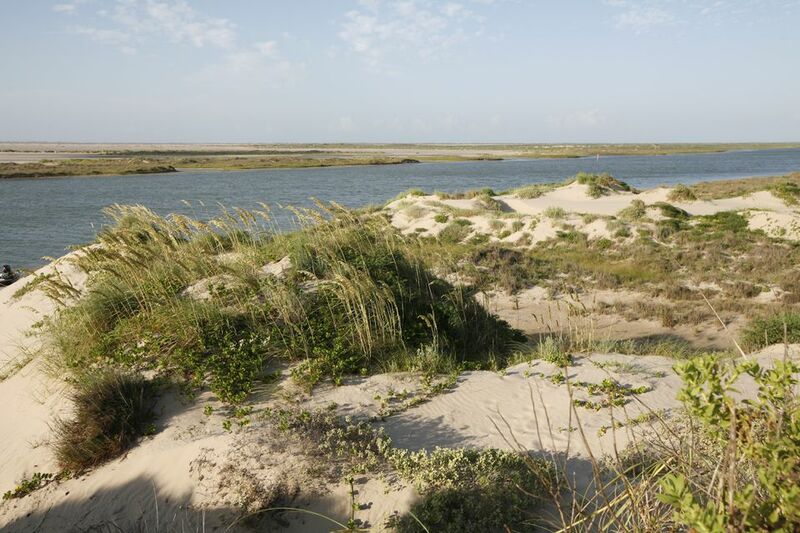 The primary draw for anglers is are the shallow, clear waters of the Lower Laguna Madre, which runs from the Brazos Santiago Pass, just south of South Padre Island and Port Isabel, to the Kenedy Land Cut some 20 miles north of Port Mansfield. Along with its length, the Lower Laguna Madre varies from two to six miles wide. Throughout the bay, fishermen can catch a variety of species such as speckled trout (spotted seatrout), redfish (red drum), snook, sheepshead, black drum, and flounder. The East Cut, which connects the Lower Laguna Madre with the Gulf of Mexico, draws seasonal species such as kingfish (king mackerel), Spanish mackerel and tarpon within reach of inshore anglers. Offshore anglers find plenty of action for species such as red snapper, ling, kingfish, bonito, blackfin tuna, sailfish, yellowfin tuna and more. All these angling options combine to make Port Mansfield one of Texas' top saltwater fishing destinations.